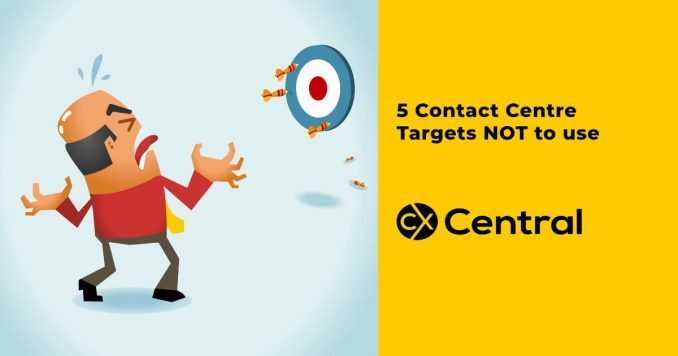 5 contact centre targets NOT to use in, well, ever! Measuring performance and setting targets is critical in the contact centre world – but its just as important to set the right targets and use the right metrics. Often, I see organisations set and forget their targets. Because these targets aren’t reviewed and realigned regularly, both customers and costs suffer. It may sound obvious, but what gets measured gets done. I’d hazards a guess that most of you will be regularly measuring your performance but when was the last time you reviewed the metrics you are using and the targets you have set? Little is achieved by measuring your performance against metrics that aren’t fit-for-purpose. or that you need to start using differently. Abandonment is the number of callers that hang up the phone (or abandon another channel such as a web chat, etc.) before they’re answered by one of your agents. The metric is expressed as a percentage of the total calls (or interactions) offered to your centre, for example, 5% of calls. I often come across Abandonment being used as a common contact centre target. Your Abandonment rate is simply an indication of how effective your contact centre planning and execution was. It is also an indication of whether you have set the right customer experience targets. Abandonment can be an indication of positive behaviour  for example if you have queue messaging prompting customers to utilise other channels or self-service options so when reviewing performance against this metric be sure to understand these potential drivers. While Abandonment shouldnt be used as a performance target, it should still be measured and monitored. The data will help you to determine your customer tolerances and identify what your service thresholds should be. Service Level is the number of customer transactions (calls, emails, web chats, etc.) answered or responded to in a set threshold. The metric is usually displayed as a percentage, for example, 80% of calls answered within 20 seconds, or 100% of emails responded to within 24 hours. Although Service Level was once the primary performance metric used in contact centres, other customer-centric metrics are beginning to take precedence. These metrics include measures such as Net Promoter Score and Customer Effort Score. These measures better reflect the quality of the customer experience your contact centre offers than the traditional Service Level metric  as todays customers care about a lot more than just how long it took you to answer their call. It may be time to consider ditching Service Level as your primary performance target and opt instead for a measure that incorporates direct input from your customers. It’s important to mention here that you will still need to have a service level target in place for planning and resourcing purposes, and you should regularly review this target against customer behaviour patterns regularly to ensure it remains relevant. As the name suggests, Average Wait Time measures how long a customer is waiting before their call (or email, web chat, etc.) is answered. This is often measured separately for calls answered and calls abandoned. The metric is a reflection of how effectively you have predicted your requirements and planned your resourcing down to an intraday level, and how effectively your team have followed that plan. Much like Abandonment, while Average Wait Time should be measured, it should not be used as a target to measure and report your overall performance. Average Handling Time is the average of your agents talk time, hold time, and wrap up time (or the equivalent for email, etc.) for each customer interaction. Gone are the days of this metric being an effective target. In todays age of the customer, the time spent during a customer interaction is far less important than the service thats delivered and the outcome thats achieved. Your contact centre agents should be empowered to spend as much time as is required to resolve customers issues and enquiries. Setting targets for Average Handling Time can be at odds with this philosophy. If your agents feel pressured to reach a target, poor service and rushed outcomes may be the result. That means poor customer experience, and more rework with customers problems not solved the first time. It will come as no surprise that you should still monitor Average Handling Time, and address any outliers for high or low results compared at an agent level. You should also use this figure for planning your resourcing – but it should never be used as a target. First Call Resolution is a measure of the number of times a customer has to contact your contact centre to resolve an issue. While First Call Resolution is still relevant performance target in some industries, it too is not the best measure of customer satisfaction in a world full of customer insights. Most customers would rather have the right answer over a couple of interactions, than the wrong one on the first interaction. If you are going to set targets for First Call Resolution, it’s important to consider how you will measure this. Many methods for tracking this are inaccurate and unreliable, so if you do choose to measure it make sure you error-proof your reporting methods. As a final thought on what NOT to target, be wary of having too many targets. 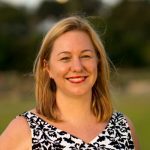 Improving your contact centre and striving for exceptional customer experience will not and cannot happen overnight. If you set your team 17 different targets to achieve, they will struggle to know what to focus on. So, dont set them all at once. Instead, identify the top three priorities for your contact centre, and set your targets accordingly. Set these targets at all levels across your centre, to align your team to deliver the same outcomes. Once youve seen improvement in these areas, revisit your targets and set the next three. Soon enough you will have addressed each of those 17 performance areas you wanted to improve, but in achievable, bite-sized pieces.